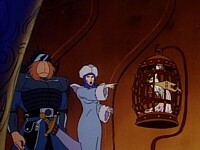 TARTARA, the CRYSTAL QUEEN, steals the ARIETTABIRD and cages it in her Crystal Kingdom. The ARIETTABIRD’s beautiful song brings a fruitful harvest to the BERBILS and now without it, their crops will die. LION-O pursues TARTARA, but she freezes him in a transparent case of crystal. 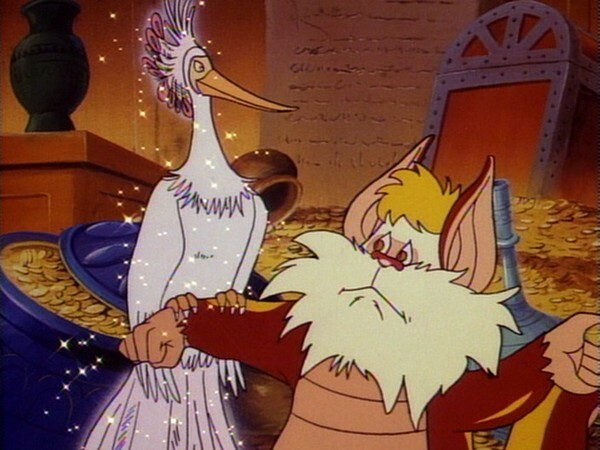 SNARF follows to the KINGDOM, frees the ARIETTABIRD, and requests that it sing its highest notes. 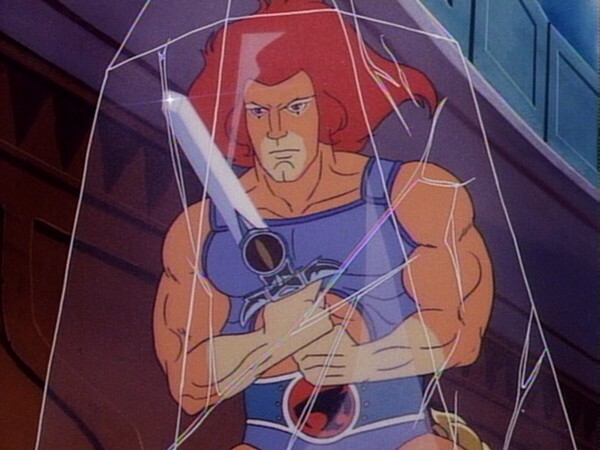 LION-O’s cage shatters with the bird’s high-pitched song and he signals the other THUNDERCATS with the Sword’s Eye. PANTHRO arrives in the ThunderTank to rescue LION-O and SNARF. The ARIETTABIRD escapes and returns to the BERBIL village, assuring them of another fruit-filled season. Everyone is entitled to a place and function in society and the right to serve a useful purpose, even if it is not readily apparent in a superficial assessment. Lion-O and the other ThunderCats begin to cut down Snarf’s responsibilities and deprive him of feeling useful, when he begins to show signs of aging by being absent-minded at times. 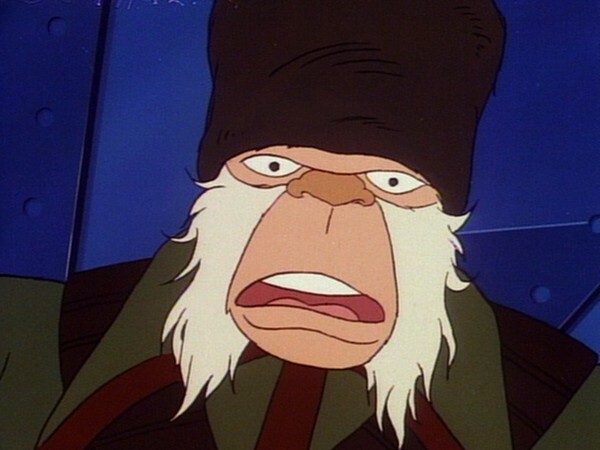 Snarf responds with a discrimination to remain necessary, and he is able to show through his participation in a successful mission that he still can contribute. Aging persons still have much to contribute if we allow them. One way persons of all ages contribute and feel necessary is through giving. Animals, like the Ariettabird, freely respond to their place in the balance of nature by playing their appropriate roles. The Ariettabird’s role is helping to produce a fruitful harvest of Berbilfruit by singing. For persons, it is giving to others and making a contribution to society. This is in contrast to Tartara, who never learned the pleasures of sharing. Instead, she hoarded treasures and therefore never felt necessary or part of a group. We should accept the treasures of human companionship and seek to play a role in contributing to society. Then we will find in our giving to and receiving from others that we are useful and necessary. 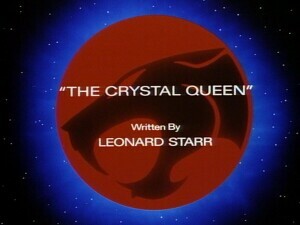 Although arguably from the weaker end of the ThunderCats scripts penned by Leonard Starr, “The Crystal Queen” is nonetheless an enjoyable tale with some fun and insightful moments. 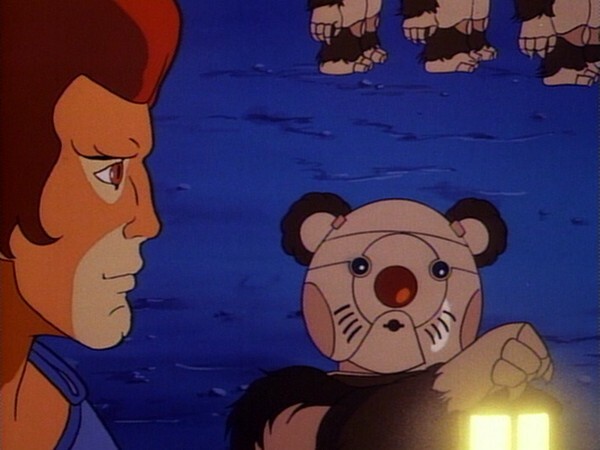 One of the stated purposes of ThunderCats, in addition to providing entertainment, was also to educate its young audience and show them the difference between right and wrong, and this episode certainly lives up to that goal. Probably the most interesting of the two interweaving plots in this episode is that of Snarf and his advancing years. Lion-O speaks for the whole audience when he says he can’t think of Snarf getting old, and yet the way Snarf is often portrayed throughout the early part of the series (particularly in episodes penned by Leonard Starr) is that of a slightly elder character. 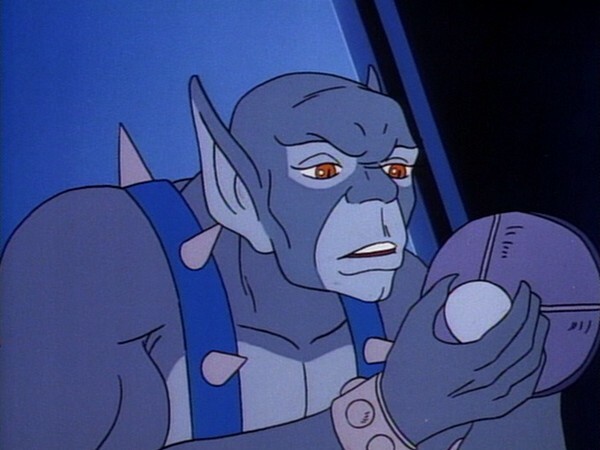 Where this episode, along with Panthro’s somewhat domineering behavior towards Snarf, feels slightly jarring is when taken in context with “Snarf Takes Up the Challenge”, the events of which were shown only a couple of episodes earlier. 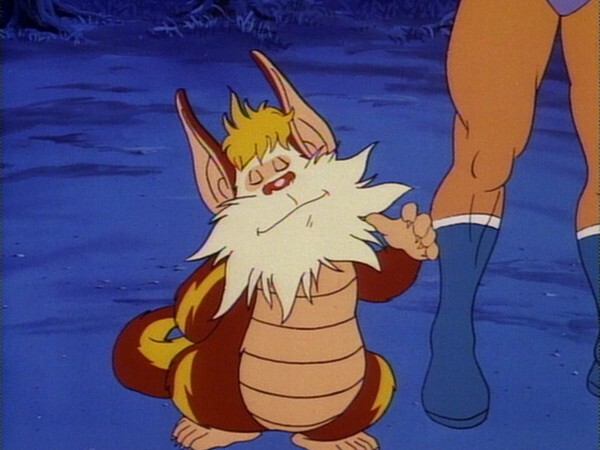 In that episode it’s shown that, despite his diminutive stature and somewhat bumbling personality, Snarf is still capable of achieving great things and as such thoroughly deserves his place amongst the other ThunderCats. It’s strange then to see him, only a couple of episodes later, being regarded as somewhat “over the hill”, and to an extent even being portrayed this way as well. 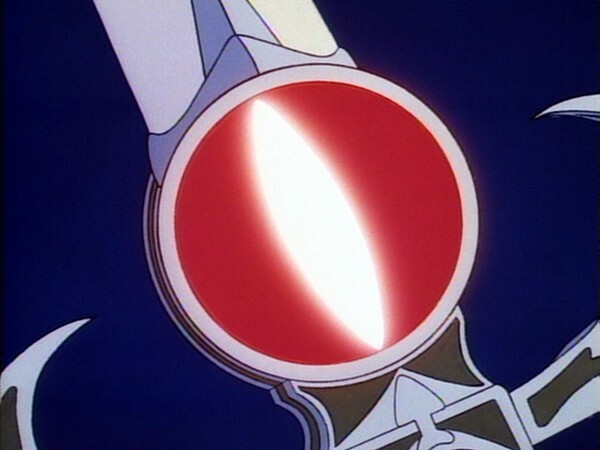 As such, it’s hard not to think of the conclusion of this episode—Snarf once again helping to save the day despite having been underestimated by his fellow ThunderCats—as retreading the same ground. Yet somehow it is different enough that it works effectively. Perhaps the most notable element of this episode’s Snarf sub-plot is also the most subtle, that being the bond between Snarf and Lion-O. This bond between the two characters is something that would be showcased many times throughout the entire length of the series, both for dramatic effect and also for comedy value, with Snarf doting unnecessarily on the young lord. Yet, for all that Snarf worries excessively about Lion-O, in this episode we get to see how deep Snarf’s bond with his former charge actually is, when he see him instinctively react when he believes Lion-O to be in danger. Although it would be easy to dismiss this as just excessive worry, it could also be argued that Snarf’s bond with Lion-O is sufficiently deep as to grant him an intuitive insight into the ThunderCat leader’s state of mind, even when separated by some distance. 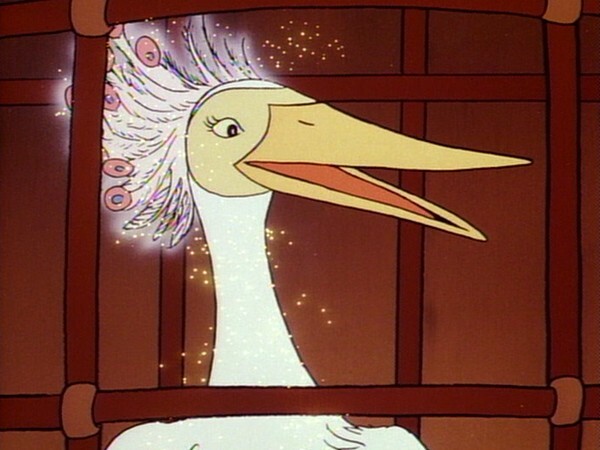 As for the episode’s main plot, that of Queen Tartara and her obsessive desire to possess the Arietta Bird, this is a rather more straightforward storyline. The character of Queen Tartara, whilst exaggerated, is not entirely unrealistic, for she is not portrayed as a strictly evil, cackling villain, but instead just as an intensely greedy and possessive (and perhaps rather insecure) human. 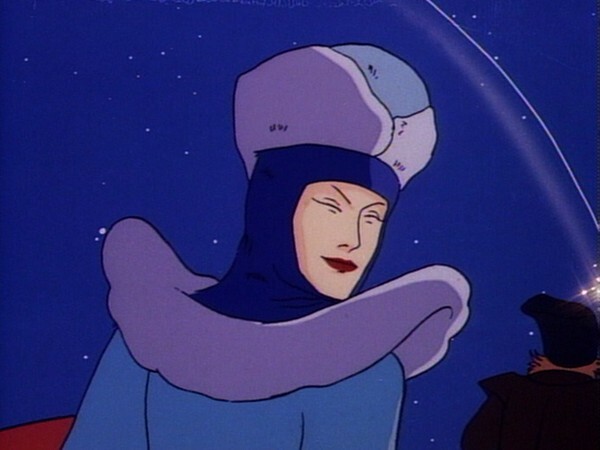 Whilst some further explanation as to her background would help to provide insight and motive to the character, rather than just showing her being selfish and greedy for its own sake, nonetheless Queen Tartara serves the storyline of this episode well enough, and enables the writer Leonard Starr to weave a story that teaches the show’s young viewers the ills of being selfish, greedy and possessive in a way that never patronizes or talks down to them, a strength of ThunderCats at its best. 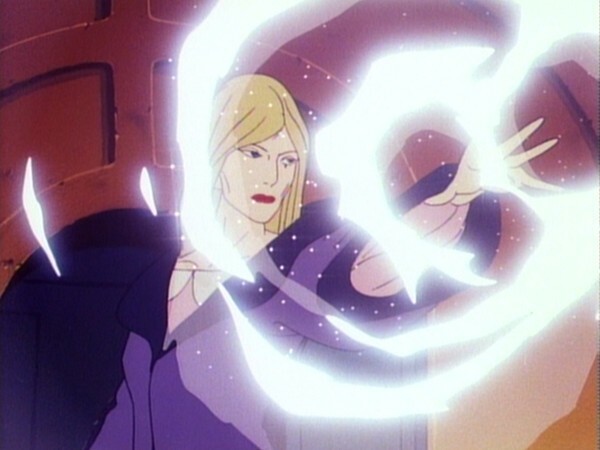 In conclusion, “The Crystal Queen” is a good if somewhat uninspiring episode, slightly forgettable but certainly not without its redeeming features, and another great showcase for Snarf. 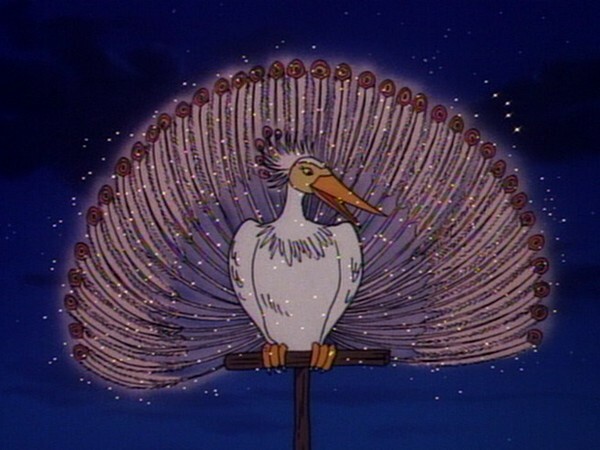 The Arietta Bird’s name come from the musical term arietta, a short aria, which is a self-contained piece of operatic or classical music performed by one voice, although normally utilizing an orchestral accompaniment. Both Queen Tartara’s palace and the uniforms of her guardsmen appear to be vaguely modeled on 19th-century Russian styles, her name being a reference to the Tartary nation of the Caucasus. In this episode we are shown one of Snarf’s more unusual abilities—the ability to chew through wood!